The Black Goblin climbed the tall walls of the Red Maze to escape. The Labyrinth itself turns against the fugitive and crumbles away. I made this game in my first GameJam with the Unity Engine. The June Berlin Mini Game Jam was limited to 8 hours. 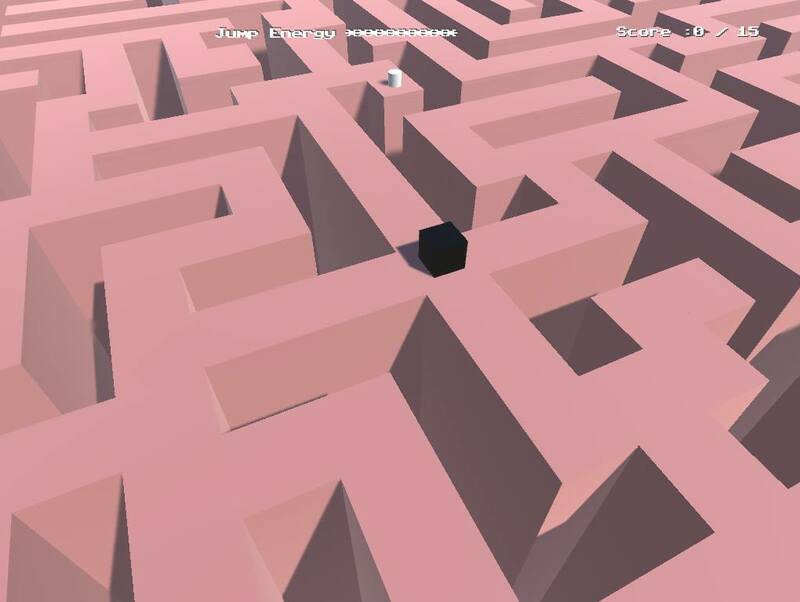 The idea was to combine the elements of endless runner games like Crossy Road, Altos Adventure or Canabalt and games with decaying paths like Shattered Planet, Prince of Persia or The Great Gianna Sisters and put this all on the top of a maze with huge walls. When pillars collapse their is a weird scaling issue shortly before they disappear. Generate more pillars if the player reached the edge of the maze. Nicer movement animations of the player. Try out some kind of enemies or different kind of pillars.